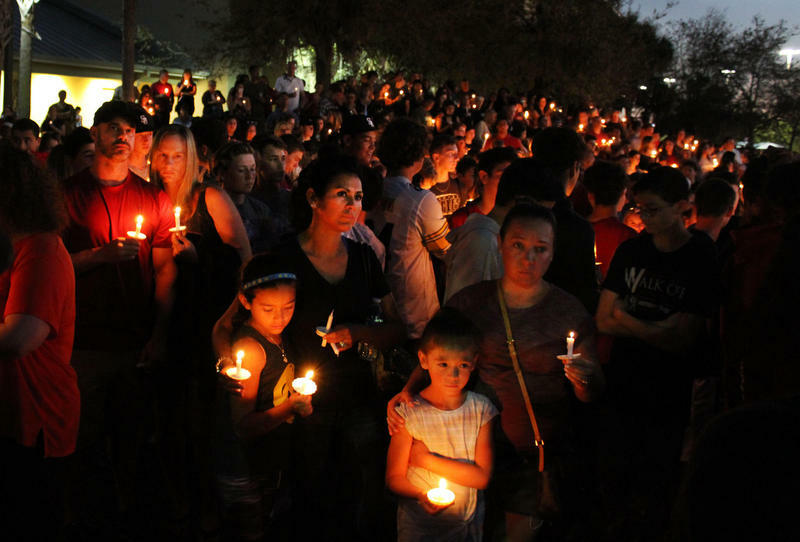 Almost immediately after the shooting at Marjory Stoneman Douglas High School, Melissa Kornhaus, a licensed mental health counselor with a specialty in trauma therapy, was looking for a way to help. So Kornhaus, who’s based in Broward County, quickly organized Professionals United for Parkland—an all-volunteer group of more than 250 licensed mental health workers providing pro-bono therapy. Her group established a referral hotline, (443) 390-8343, for anyone in South Florida affected by the shooting. Professionals United for Parkland has also organized trauma training to make sure therapists are up to date on the best techniques to help people right now. And the network is also offering support groups for therapists themselves to help deal with the vicarious trauma of responding to the shooting. Two, a loss and the ability to focus or attend to basic things—conversation, what's happening around them in the environment. "The first part is that you want to stabilize the person. You want to give them a resource or a skill that they can use to calm their nervous system—deep breathing, visualization of a calm space. The second component is identifying the belief underneath what's being triggered. Whether it's: I'm unsafe, I'm going to die, I'm responsible--if you think about survivor's guilt. So you're activating the negative response of the brain and the nervous system there. And then you want to activate the positive opposite response. You want to have people pull in memories and experiences of when they have felt safe and then you provide stimulation so that the body and brain can do what they do naturally when they're not under stress and trauma. They can integrate the two experiences and make sense of it in a way. "The therapists themselves are often going to be traumatized by the stories that they're hearing. They themselves can experience what's called “vicarious trauma.” They'll start exhibiting some of the same symptoms—the startle response, the change in sleep and eating patterns—that the actual trauma survivors are experiencing. … This is another thing that we've heard a lot about [from] friends and family members of people who are in Parkland, who knew people who were in the shooting, who knew people who knew people who saw the shooting. These stories are being passed along. In addition, videos of what had happened were, initially in the days after the shooting, being shared among students. So even if they didn't witness firsthand what happened, they're hearing stories and they're seeing images that can stick with them and become their own trauma." "We need people on the ground talking to the people who have survived and experienced trauma, who can ask questions and find out what people are looking for. Do they want groups where they can come together and talk? Do they want individual trauma treatment? Do they want space? Do they want a platform to share their stories? I think what this brings up for us in our experience as Professionals United for Parkland is that we need to take back our ability to serve our communities on the ground level, and that's where we can have some of the biggest impact. There's this whole notion of when you see something say something. But in this case, a lot of people said something. They said something before the shooting, they said something after the shooting, they're still saying what they need. So from my perspective, it's see something do something. If you don't do it no one else will. There's a psychological phenomenon called the ‘diffusion of responsibility,’ which talks about when there's a group of people and something has happened and something needs to be done, everyone will assume that someone else will do it. But that leaves us with no one to take action. So if you feel called to do something in your community, you identify a need, and you know you have either the skill or the connection to meet that? Make it happen." 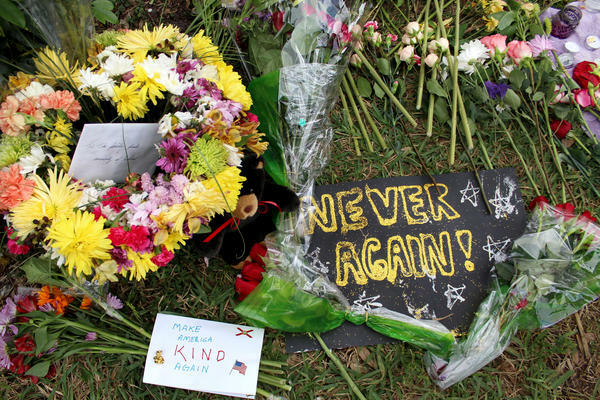 After the high school shooting in Parkland, Florida leaders are considering pouring more money into mental health care and experts in the field released some suggestions on Thursday. Governor Rick Scott’s plan for responding to the mass shooting at Marjory Stoneman Douglas High School includes $50 million in additional funding to expand mental health services for children and youth. Flanked by the parents of Broward County teenagers slain in the nation’s second-worst school shooting, Gov. 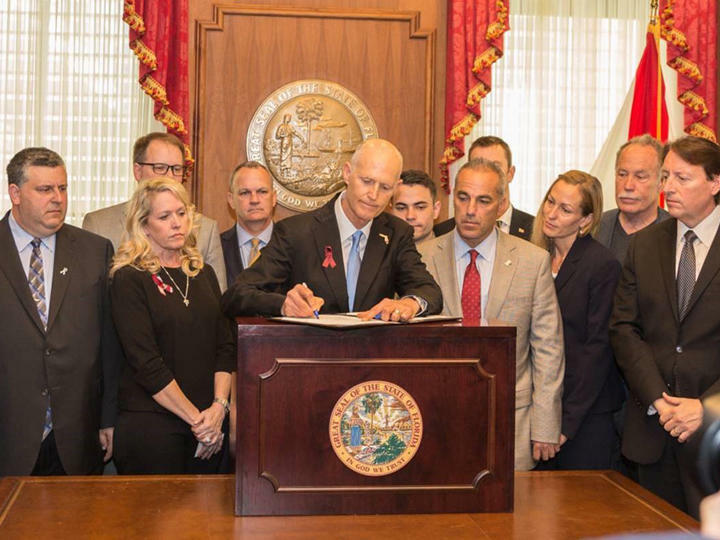 Rick Scott on Friday signed into law a sweeping package addressing mental health, school safety and guns.